The consequences of the European referendum result have been far-reaching and, in many ways, unquantifiable. We can make pretty well-educated guesses about the impact of the uncertainty created on economic growth based on declining business investment, for example, but we cannot know for sure where exactly the GDP line would have gone if the country had voted remain on 23 June 2016. Equally, we have no real clue whether any economic pain we are suffering now will be worth it in the long term as the UK “takes back control” of its rules and borders. One thing that is becoming increasingly clear, however, is that the Brexit process is sucking the life out of the national debate on various vital social issues. Whether it is in parliament, on Twitter or down the local pub, it has become a battle in itself to shift the conversation away from the B word. But there is something much, much bigger we should be talking about. Something that affects us all and could have ramifications for almost every facet of public policy – not to mention retirement planning: life expectancy. The assumption we are all living longer – and will continue to do so into the future – is at the heart of all manner of challenges and proposed reforms across society. Defined benefit schemes have pretty much evaporated in the private sector, partly because employers fear shouldering the risk of paying pensions over an ever-increasing retirement. Our NHS and social care system – already creaking – is expected to come under further strain as baby boomers retire and the numbers living to 90 and beyond grow exponentially. And controversial plans are in train to raise the state pension age to 68 by 2039 – seven years faster than under the previous timetable. This is in direct response not only to decades of rising life expectancy but the belief historic trends will be repeated for decades to come. The latest official data casts doubt on this assumption. According to the Office for National Statistics, average life expectancy for males at birth increased by 4.2 weeks a year from 2011 to 2016, compared to 17.3 weeks a year in the preceding six year period (2006 to 2011). How can advisers plan around the life expectancy lottery? A similar pattern was observed among females, with life expectancy at birth rising by a meagre 1.2 weeks a year from 2011 to 2016 versus a 12.9 week annual improvement from 2006 to 2011. The pattern is repeated for men and women who had already reached age 65 in 2016. This puts the UK right at the bottom of the major developed countries analysed by the ONS when it comes to recent life expectancy improvements. What we do not know – and UK policymakers should be straining every sinew to figure out – is whether this is a short-term blip or the beginning of a longer-term trend. Some, including the Labour Party, argue this is a direct result of the austerity policies since 2010. The timing of the decline is certainly convenient for an Opposition desperate to make political capital out of the data. In reality, however, there is no conclusive proof – at this stage at least – that spending cuts since the financial crisis have been the prime driver of rising mortality. Consider, for example, the period 1900 to 1950. During these five decades the UK endured two World Wars and severe fiscal retrenchment in the early 1930s as the economy slipped into post-war recession (although a quiet recovery resumed towards the end of the decade). 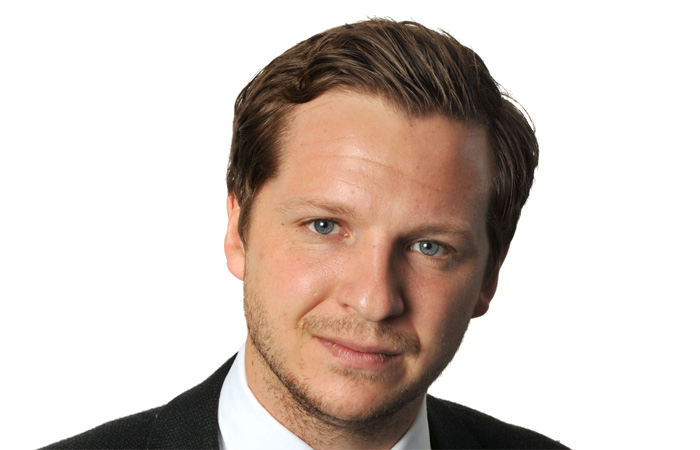 Tom Selby: How do you square the self-employed pensions circle? And although an Unemployment Act was introduced in 1934, it was not until 1942 that the Beveridge Report began to lay the foundations for the welfare state. If you were out of work, you faced abject poverty. Despite all of this, average life expectancy rose by 20 years. So, while there is clearly correlation between austerity and the life expectancy improvement drop-off from 2011 to 2016, causality has not yet been firmly established. What we do know is this trend has not been observed in other comparable countries. In Japan, for example, life expectancy at birth for men increased by 16.2 weeks a year from 2011 to 2016 compared to 5.3 weeks a year in the preceding six-year period. The likes of Norway, Denmark, Finland, Italy and Czech Republic have also enjoyed accelerated improvements in life expectancy during the period it has declined substantially for the UK. Getting to the root cause of this statistically significant shift should be a central focus for this government. Health policy, social reforms and, of course, retirement planning could call be affected. Sadly, those in power seem too busy tearing each other apart over Brexit to even notice. But … statistical analysis from the Office Of National Statistics own figures does not say that we are all living longer. Neither do they say that the average life expectancy for males and females in this country is increasing. In fact it has barely moved at all since about 1970. What is actually happening, is that some of us are living longer (more people achieving age 95 /100) BUT also more people are dying in their 50s 60s and 70s. Austerity isn’t the problem its obesity, sedentary life styles, bad eating habits, lack of exercise and plain stupidity. As Trevor has so rightly said average longevity is declining. There is undoubtedly a divide between the better educated (and better off) versus the rest. The former live longer the latter don’t. Prof. Sir Michael Marmot in a paper several years ago highlighted this when he wrote that for each tube station you travel east in London. life expectancy decreases by one year. As far as Brexit is concerned – yes, it is consuming what little intellect our politician possess, but what is also true is that it is the older generation, in the main, that is thwarting the future and aspirations of the younger generation. As most of the older are going to die earlier they are going to leave the mess for the youngsters to clear up sooner.